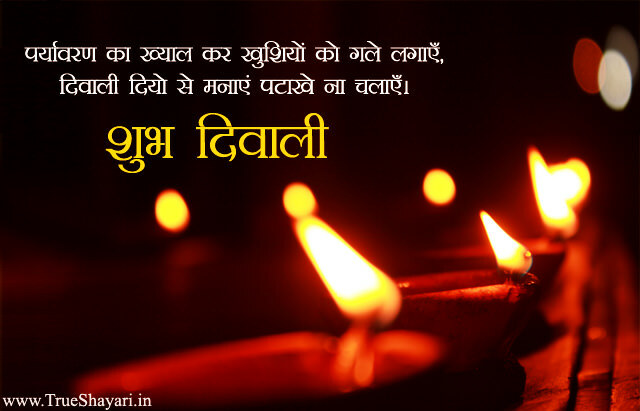 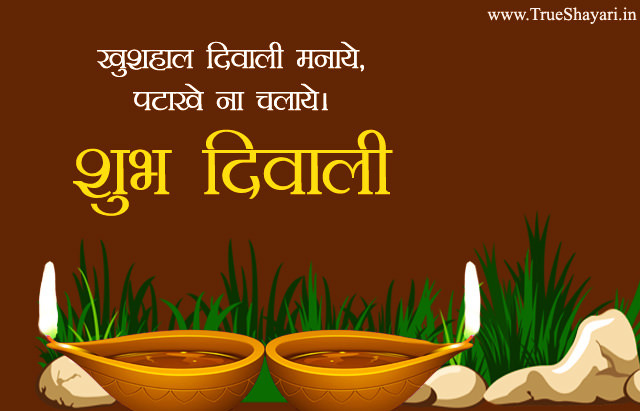 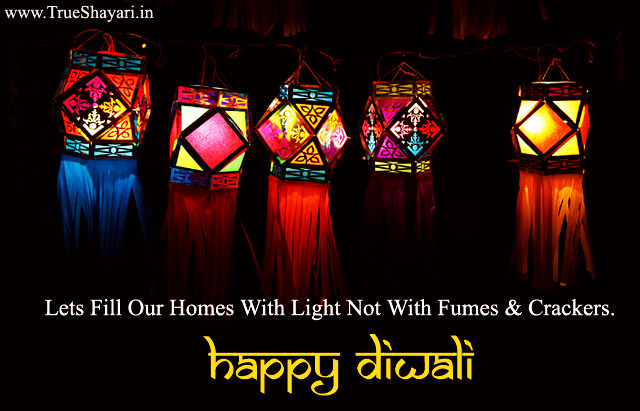 We all know that Diwali is the festival of lights and we all burn diyas to make our home look the brightest. 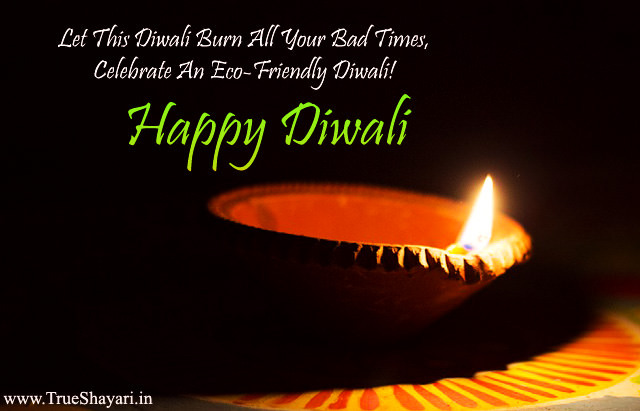 This is done to represent authority of good over evil. 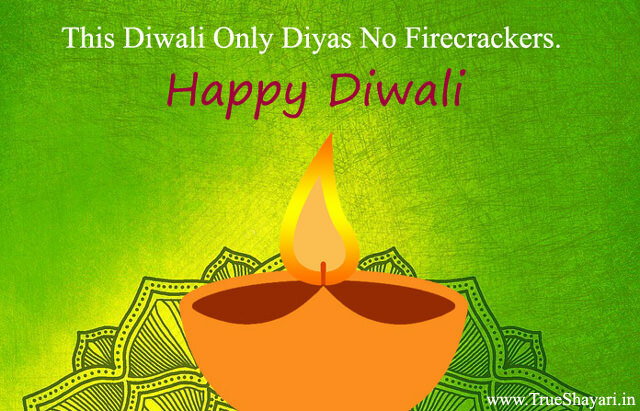 But there is one more thing that is done during Diwali and that’s burning crackers. 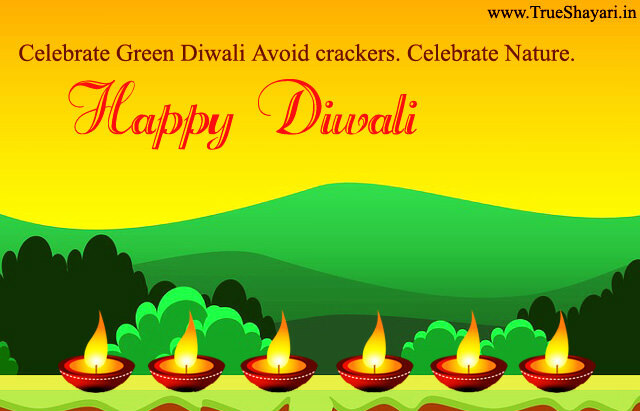 Crackers are burnt not only to have fun but also the beauty of the crackers amazes us. 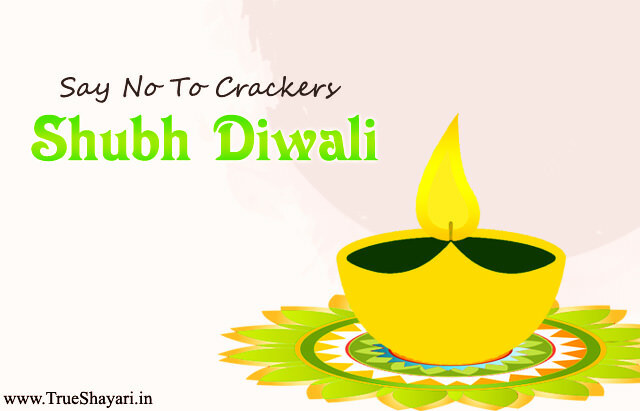 The extreme burning of crackers these days led to some problems, the smoke and emission that gets released from crackers are harmful for the environment. 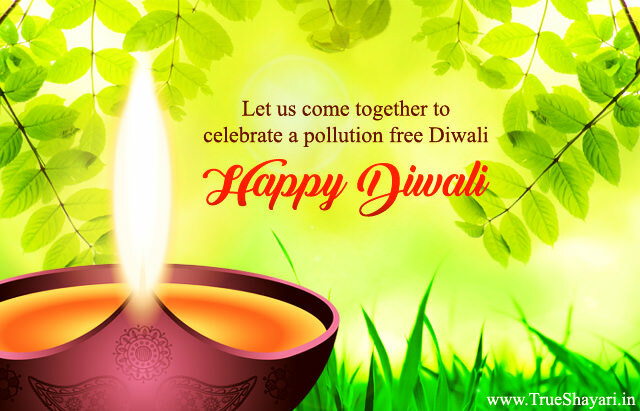 These things are greatly polluting the air, not only this but the sound that gets emitted from the crackers is equally polluting our environment too. 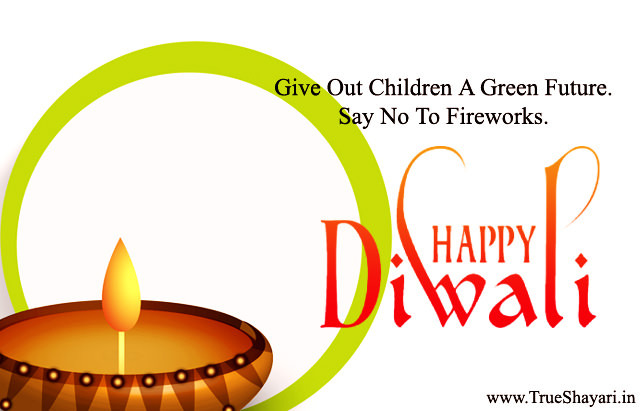 Our government has tried to ban all the crackers that have massive sound but less the people follow these rules. 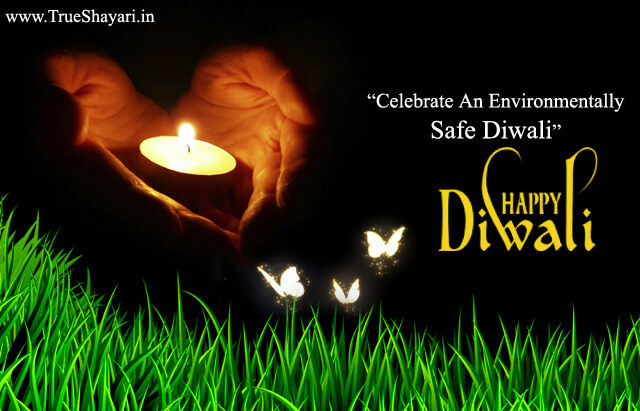 It is always be therefore advisable to have a save Diwali. 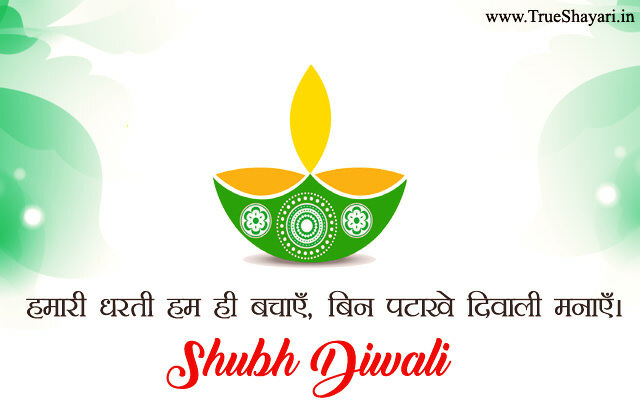 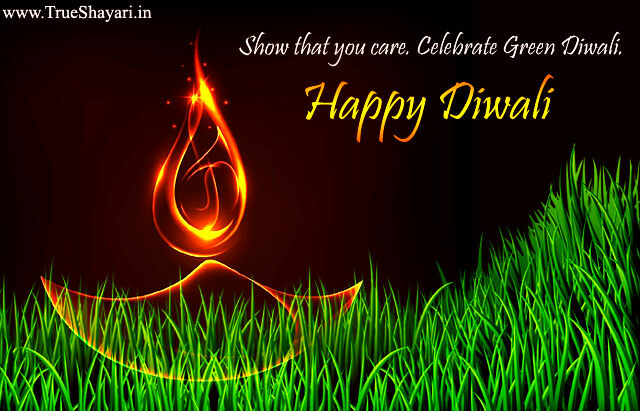 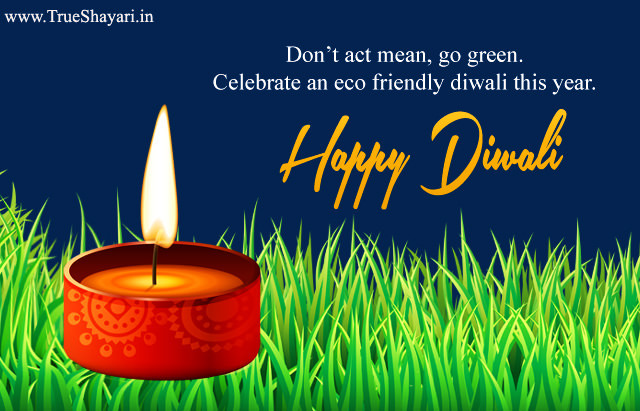 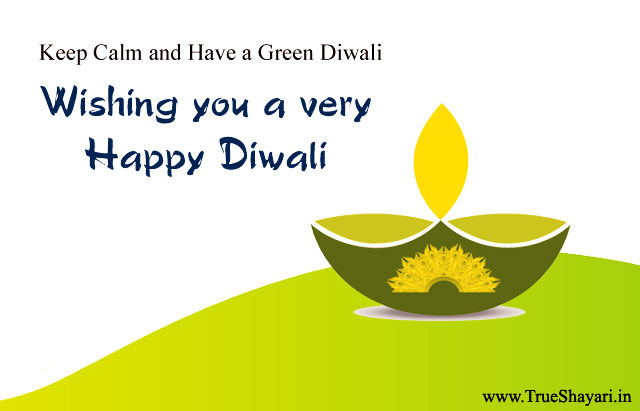 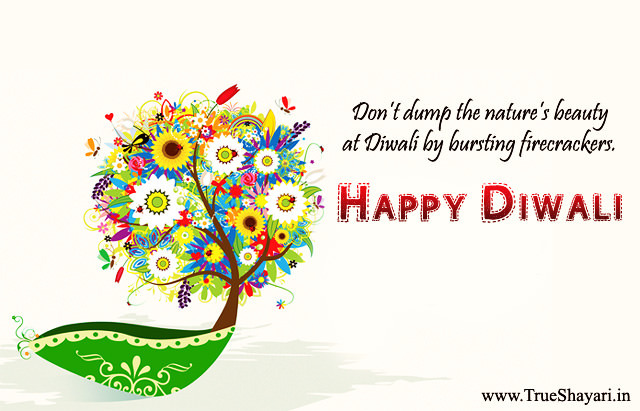 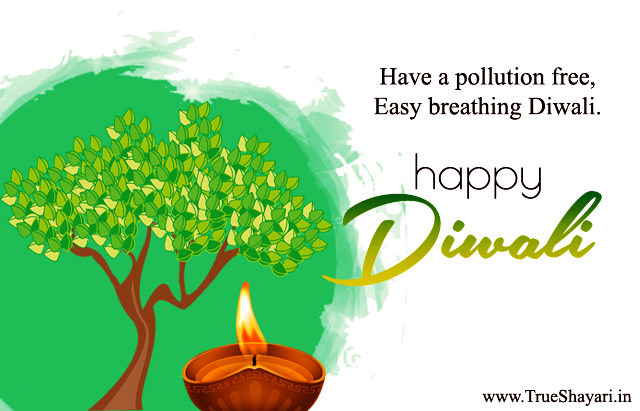 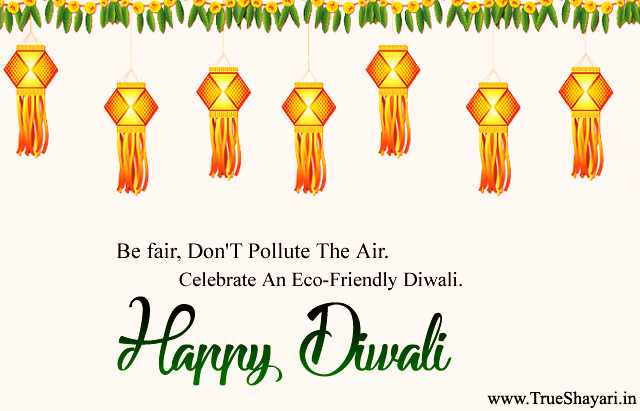 For awareness we are sharing some of best Eco Friendly Diwali Quotes in English, Go Green Slogans, safe and pollution free Diwali messages, Eco friendly Diwali images with beautiful thoughts lines. 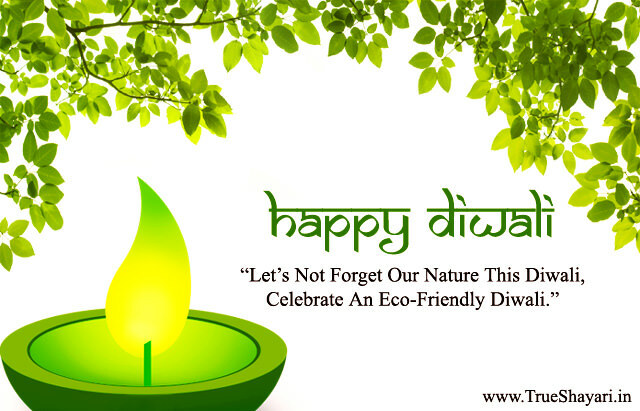 Follow and share with your friends and family and go with our nature.